NB. This post was originally written for the Toronto Public Library. For many writers, going out on submission for the first time brings about mixed emotions. What if everybody rejects your manuscript? Or what if you're given conflicting feedback? Or what if you're that rare person who has plenty of offers and you don't know which one to take? Unfortunately, the excitement of an offer from an editor or agent can sometimes overshadow niggling doubts we have about contract terms and other important aspects of the publishing process. But publishing, like many other industries, has its dark corners and there are definitely things you should watch out for. If you're looking to traditionally publish your manuscript, it's important to understand how everyone gets paid. On average, agents will take 15% of your earnings. Royalty rates and advances vary, but often this information can be found on the submission portion of the publisher's website. The percentage taken by the agent and publishing house covers the reading, submission process, all stages of editing, production, marketing (although it's expected authors will do marketing activities as well), and distribution of your book. If an agent or publisher asks you for money up-front to cover the cost of any of these activities, as well as wanting to take a percentage of each book sold, be wary. Agents and publishers should make their money from the sale of your book, not from charging the author. The only time a writer should pay a fee up-front for someone to read or work on their manuscript is if they're hiring a freelance professional. 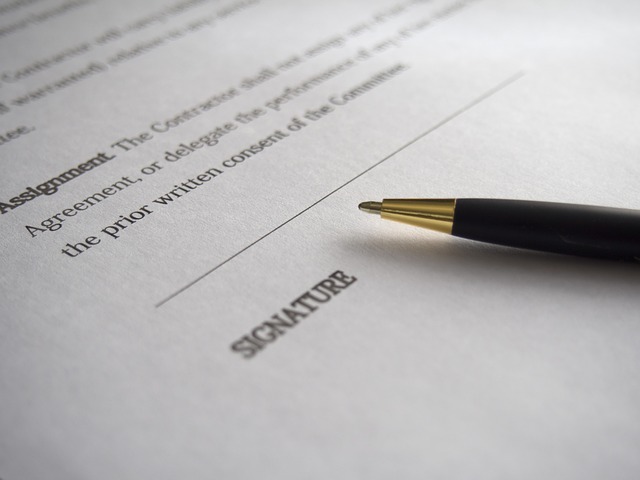 Publishing contracts are not always the easiest documents to decipher and this is one reason authors might sign with an agent. This clause is found in most manuscripts, so it's not a red flag in itself. But authors should read this one very carefully as it may impact the author's publishing schedule. This clause prevents the author from publishing other books within the same or similar genre for a period of time around the release of the contracted manuscript. It's common that publishers don't want an author putting out two books in the same month, but if the contract restricts you from publishing another book in the same year then authors should think about how this will impact their career. This clause relates to a contractual obligation that means the author has to show the next manuscript to their current publisher before they can take it on submission elsewhere. Again, this is a common clause and its appearance alone isn't cause for worry. But the more narrowly defined this clause is, the better. For example, this clause could be narrowed to only include manuscripts within the same series or set in the same world as the one being contracted. It's also important when working with multiple publishers, to ensure this clause doesn't clash with other open contracts. If you're independently publishing your book, you have the option of choosing your team. This may include a developmental editor, copy editor, proof-reader etc. It's important to do your due diligence and make sure you're paying qualified and professional people. It's a good idea to ask for a sample so you can assess the quality and style of editing. You may have to pay for this sample, but it's better to spend a small amount here than hire someone for a large fee and end up being unhappy with their work. You may want to be wary of any editor who refuses to provide a sample. Be wary of any freelancers who trash books online, whether on review platforms or social media. If your relationship doesn't work out, would they be likely to do this to your book? It wouldn't be the first time a freelancer has taken an author's (or publisher's) money only to then criticize the book online. This is incredibly unprofessional and given there are plenty of great freelance editors and proof-readers out there, it should be an easy issue to avoid. Always ensure that you're getting the level of editing that you're paying for. A developmental edit (which usually costs more than copy edits or proof-reading) should not simply point out typos and continuity errors. Developmental edits should come with in-depth feedback about the characters, plot, pacing, and clarity of the writing. If you get a sample, as mentioned above, you should be able to see whether the editor is providing the right level of feedback based on what you've asked for. A good agent will help grow your career, will be collaborative and encouraging while also being truthful about your work. A good agent will push your career forward, and a bad agent can be worse than no agent at all. Be wary of any agent who hasn't read the manuscript but is offering representation. An agent must be intimately familiar with your work in order to best position it with publishers, and to help you grow your career. A good agent will be transparent with how they plan to sell your manuscript. If your agent is unwilling to share details about the submission strategy, this could be a red flag that they won't be likely to share other important information like editorial feedback, industry information etc. Watch out for agents who appear to always side with the publisher. Yes, an agent needs to have a good relationship with publishers and editors, but they also have to represent their author's best interests. If you've signed with an agent who doesn't appear to be backing you, then it might be time to have a conversation about your relationship. Translations: my books go global!